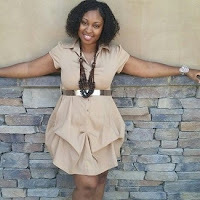 Sanedra Pegues, Author of Dare to Live Your Best Life Now! Today we are interviewing Sanedra Pegues about her inspirational book, "Dare To Live Your Best Life Now!" I'm a 27 year old mother with three small children ages 9, 6, and 1. I'm from Jackson, Mississippi. 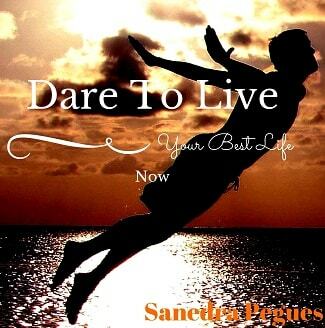 Dare To Live Your Best Life Now is my first book that I have written and there will be many more to come. Describe the purpose of the book. The purpose of my book is to help people live their lives to their fullest potential. We all have dreams for our lives and want more out of life than just living average. It's time to live grand and this book will help the readers take that first step to reach their destiny. Who would most appreciate this book? I hope everyone that reads my book will take something from it and put it to use in their lives. For people that are struggling with achieving their goals, who are quick to give up, and are afraid to take the first step, this book will most definitely give them that boost that they need. What inspired you to write a book that help people pursue their dreams? I was working on a nonfiction book when I was talking with a co-worker. The talk we had actually inspired me to write my book about going after your dreams. So, I put my nonfiction to the side and started on "Dare To Live Your Best Life Now." She was one of many that need that push in their life to get started. What are the biggest obstacles that stop people from pursuing their dreams? In my book, I mentioned 3 of the most common things that will hinder people from going after their dreams. When you purchase the book not only will you find out, but you will also be told how to overcome it. How do you think that reading your book will impact people? This book will be a tremendous blessing to everyone regardless of where they are in life. It has to start with the reader. This book will only help you continue to go after what you wanted to do but haven’t yet. I am an author who doesn't have a specific genre. I want to and WILL do it all except erotica. I’m currently writing a nonfiction book that will have an great meaning to it. Regardless of where you come from or how you were raised, you can become a powerful person and help change the world. It’s a touchy book but with a great ending and meaning. It’s coming out by the end of this month.